Upon the chance of encountering danger & oppression, the heroine is always courageous, unselfish, and suffers for the greater good! The nature of glass is the perfect balance between fragility and strength as is the true soul of the Illusive Heroine. 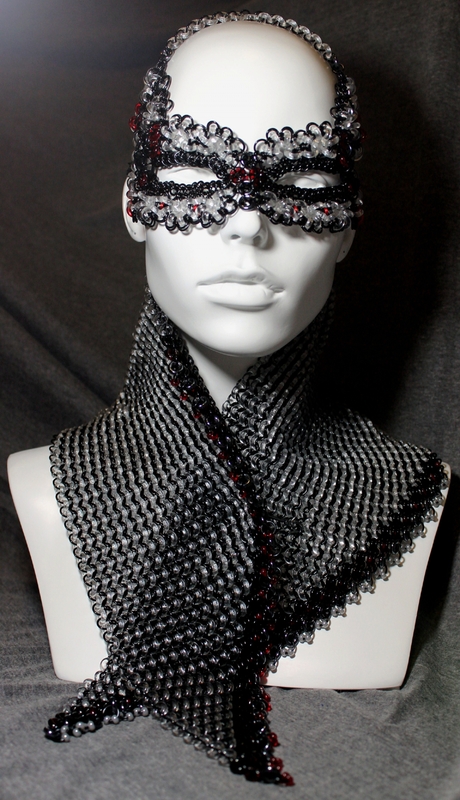 Nearly 2000 pieces of colored and crystal clear Czech pressed glass and over 3500 black anodized aluminum rings materialize into this resilient, yet delicate, capelet and fantasy mask ensemble. 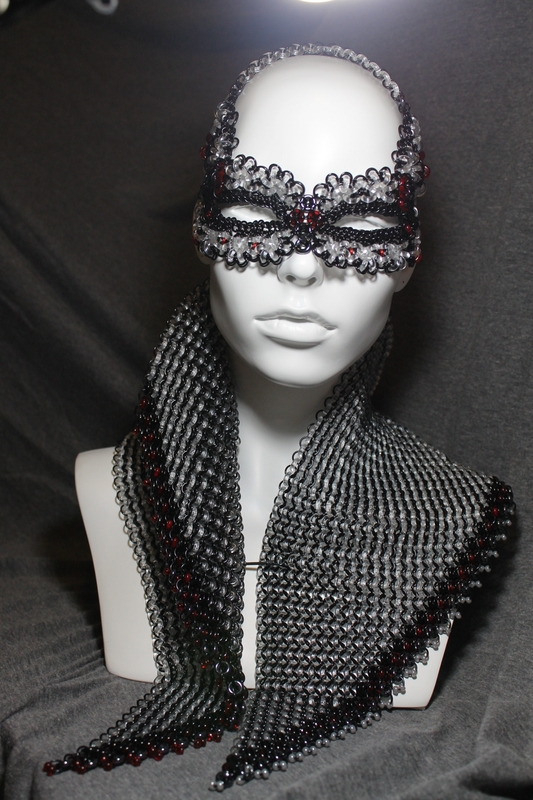 While focusing on the integration of glass rings and beads into this distinctive costume, over 35 hours were spent on weaving this fusion of original patterns by Kat Wisniewski, based on the European and Japanese chainmaille armor weave families. Any woman can momentarily transform her identity when she adorns herself in this fantasy costume becoming an absolute tenacious power! 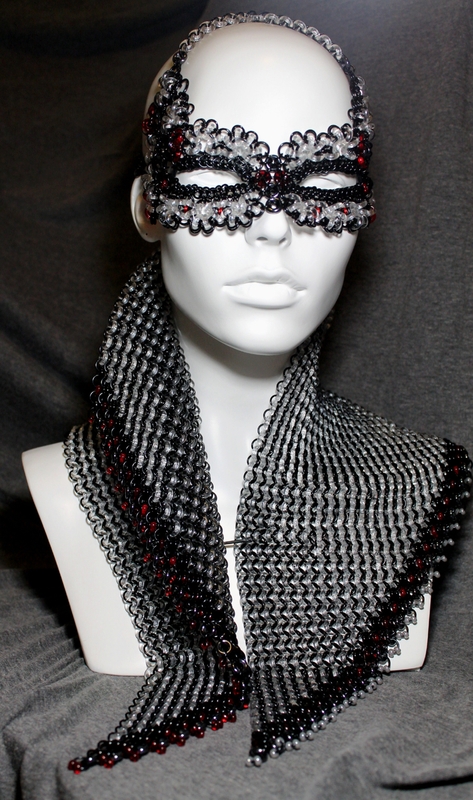 This piece was originally created as an entry for a prestigious bead & wirework contest in March of 2012. Customized replicas are also available and will take a lead time of about 2-3 months to complete. Shipping includes insurance for the full value of the piece, shipped via UPS.